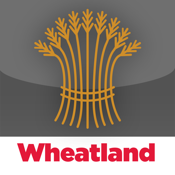 The Wheatland Pipe Catalog app enables professionals involved in the mechanical and fire protection industries to view Wheatland’s full line of steel pipe products from their iPad device. Users can access the entire catalog of Wheatland Tube standard black pipe, seamless pipe, and fire sprinkler pipe products. Additionally, users can view product information, specifications, code information, and helpful videos and technical briefings on industry related topics.